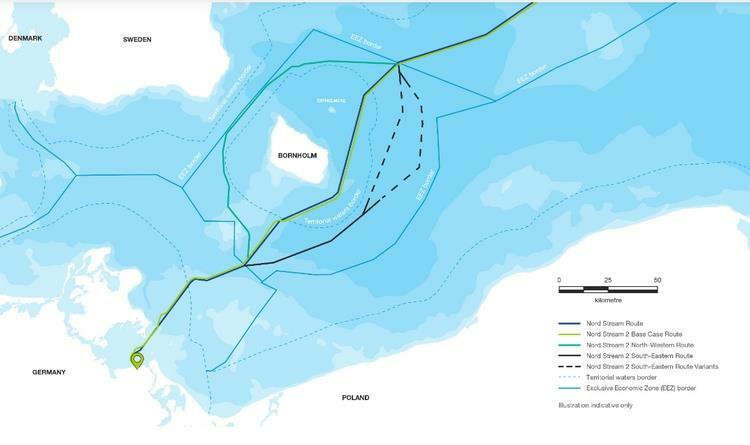 More than two years after submitting its first application for a route through Danish waters, Nord Stream 2 has submitted a third application. The third application, together with the Environmental Impact Assessment (EIA), covers a route in the Danish exclusive economic zone (EEZ) in the waters south of Bornholm. This application and the EIA has been submitted in accordance with the decision made by the Danish Energy Agency (DEA) on March 26, 2019. The EEZ border between Poland and Denmark was previously disputed and therefore the area was not available for any project developer. An agreement has been reached between the two countries, which, however, has not yet been ratified by Poland. Studies have shown that in the case of a delay of the project, lack of access to competitive gas supplies will increase price levels throughout Europe. European families and industries will foot the bill of at least 20 million euros – for every day of delay. In accordance with the permits in four countries, work on the Nord Stream 2 pipeline is ongoing in Russia, Finland, Sweden and Germany. More than 1,000 kms, approximately the distance from Copenhagen to Paris, of the two lines have been laid.